IGP Pujith Jayasundera has ordered the Police Department to suspend the release of any information via email to the media, with effect from 22 December. The Police Media Spokesman's office which was set up at the Police Department had hitherto supplied information through e-mail to private media outlets ranging from taking suspects into custody, traffic accidents, transfers of police officers, traffic congestion, murders etc , all of which were in the public interest. However, following an order by the IGP such information to media outlets has been suspended with effect from 22 of this month. Even though the police media spokesman's office had not provided such information to private media outlets on 22 and 23 December, they had done so to State media outlets. 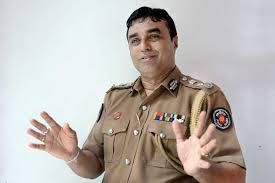 There was a widespread public outcry recently following the wide publicity given to a telephone conversation between the IGP and an unidentified top politician, at an event in Ratnapura. Efforts to contact IGP Jayasundera on his mobile phone for comment proved futile.